Donogh Rees is an accomplished actress in theatre and on screen. Her feature film debut was playing the lead role in Constance. She won a Film and TV award for her portrayal of a woman with a head injury in the film Crush, and in 2012 was seen playing Lady Capulet in an unorthodox film adaptation of Romeo and Juliet. 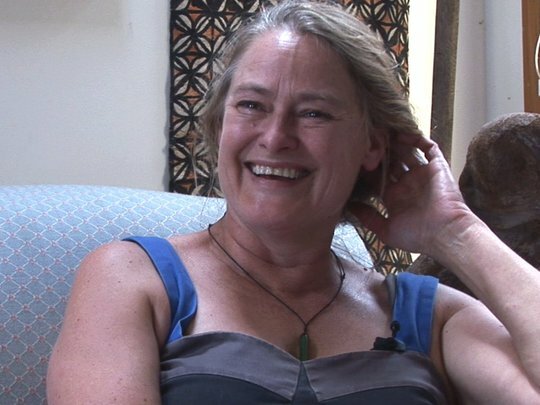 Her most well known television role was playing Nurse Judy Brownlee in Shortland Street, but she has been in a number of TV shows such as Marlin Bay, Xena and the mini-series Fallout. This video was first uploaded on 13 March 2012, and is available under this Creative Commons licence. This licence is limited to use of ScreenTalk interview footage only and does not apply to any video content and photographs from films, television, music videos, web series and commercials used in the interview.